Better Batteries refers to the attempt to find batteries that are light, safe, non-toxic, and capable of powering electric vehicles for long periods of time at minimal costs. If we are going to rely on even partially electric vehicles in the future, it is important to know what sorts of battery technologies we have to choose between to power these vehicles. This section has a brief introduction into what the five main types of battery systems being discussed are and some pros and cons of them. More detail on each type can be found in the Where We Are section. The oldest type of rechargable battery, invented in 1859 . These have the advantage of being low cost and an established technology. They are, however, also the most crude technology. They are heavy for the amount of energy they can store and do not mix well, sometimes charging or discharging only at the surface. Also, the lead smelting process is very energy intensive. One final disadvantage is their toxicity. The acid can be very toxic, as can the lead, although there have been some successful lead recycling campaigns. Nickel Cadmium batteries are low voltage batteries with a high discharge current . These batteries store more energy in a smaller space than lead acid batteries and can be very deeply discharged, often being stored at 0% charge. They have a long life span, quick charging times, and minimal losses over their quick discharge rate. There are a number of disadvantages with these batteries, however. 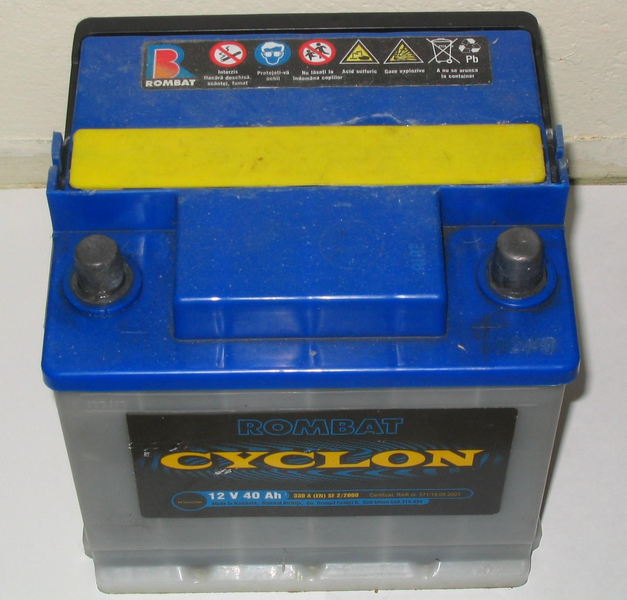 First off, a short cycle can cause the battery to explode. Also, they are vulnerable to short cycling, where the capacity decreases if the battery is not fully discharged often enough. These batteries would also need more complex charging systems than lead acid batteries, because of a sensitivity to temperature. Finally, NiCd batteries contain expensive and labor intensive materials, plus the very toxic Cadmium. NiMH batteries are very similar to NiCd except that the cadmium is replaced with a different compound . The advantage of this is that there is no toxic cadmium and the nickel is recycled. They are also two to three times the capacity of NiCd batteries. As with the others, these also have disadvantages, including a very high self discharge rate of about 5-10% on the first day and 0.5-1% per day after that at room temperature. This means that 5-10% of the energy stored is likely to be wasted just while the battery sits out for a day. They also a short life span. Lithium Ion batteries are the battery technology most people in the auto industry are resting their hopes on and are probably currently our best bet. These batteries are currently used for home electronics, such as laptops. Lithium Ion batteries are very efficient and very light and also have very low self discharge rates. They also don't short cycle. Unfortunately, Lithium Ion batteries are the most dangerous and expensive of the technologies explored here. They also have temperature-dependent performance as well as possible safety issues with overheating. They are also the least durable of the batteries discussed here, with limits not just on the number of possible cycles, but also on the amount of time they can be useful. Their health declines over time once they are produced even if they are never used. They also may never return to health if they are discharged too deeply. Hydrogen fuel cells have been touted as the way of the future for some time now. They way that they work is by taking pure hydrogen gas and oxygen gas from the air and reacting them to create electricity and water. So, you may ask, why is this in the battery section as opposed to the Making Energy section? Well, it takes energy to create this pure hydrogen either from industrial processes or from splitting water molecules, making these fuel cells more like batteries. These systems can store a lot of energy, can run at low temperatures, and can be about as efficient as many batteries , but also have many problems to overcome. The first problem that may be noticed is that we would need infrastructure to recharge these fuel cells with fresh hydrogen. Whereas you can plug a battery-powered car into a wall socket, you need to find some other recharging infrastructure for hydrogen. This hydrogen then must be stored on board the vehicle, something that is proving to be too large and heavy to fit inside your standard car. There is also concern about the safety of these systems in case of an accident. Finally, there is the issue of cost. These systems are currently much more expensive than gasoline powered vehicles, much like many of the other battery systems. Description of how fuel cells, specifically Polymer Exchange Membrane Fuel Cells that are likely to be used in motor vehicles, work.